A three-run seventh inning rally helped the White Sox to a 5-3 win over the Red Sox at U.S. Cellular Field in Chicago on Tuesday night. 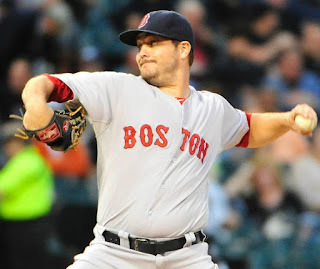 Wade Miley suffered the loss, charged with all five runs on 13 hits and a walk in 6.2 innings. His record dropped to 10-11. Mookie Betts and Josh Rutledge each had two hits in the loss. Jackie Bradley Jr. had a base hit and showed off his incredible arm, throwing out Carlos Sanchez at third base when he tried to advance from first on a single.